Add instant holiday dicor with Projection Kaleidoscopt in red, green, blue and whiteand control it all from your smartphone. Just download the AppLights app to control 49 features directly from your smartphone. Creates magical holiday lighting on indoor or outdoor surfaces, including exterior or interior walls, living spaces, front doors and porches, garage doors, fences, trees and shrubs. Update your holiday decorations quickly and easily with beautiful LED projection lighting. Add dazzling holiday lights with the LightShow Projection Light String featuring glittering LED lights in icy blue. This gorgeous light string features 8 round bulbs with coordinating clips for secure and easy placement. 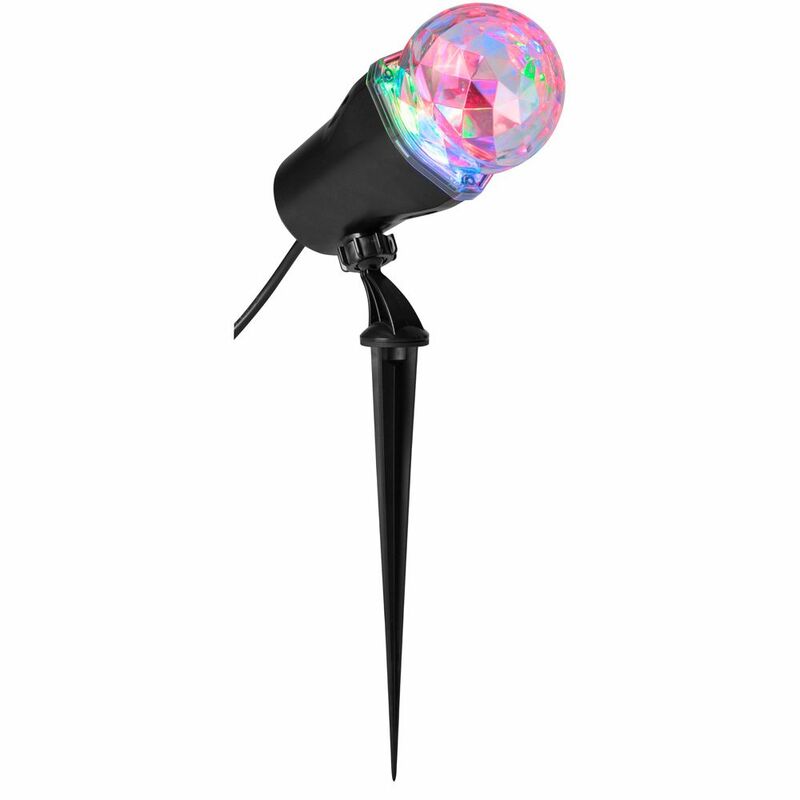 Creates magical holiday lighting on outdoor surfaces. Connect multiple sets for a dramatic effect. Kaleidoscope LED 49-Effect Holiday Projector Add instant holiday dicor with Projection Kaleidoscopt in red, green, blue and whiteand control it all from your smartphone. Just download the AppLights app to control 49 features directly from your smartphone. Creates magical holiday lighting on indoor or outdoor surfaces, including exterior or interior walls, living spaces, front doors and porches, garage doors, fences, trees and shrubs. Update your holiday decorations quickly and easily with beautiful LED projection lighting. Kaleidoscope LED 49-Effect Holiday Projector is rated 3.0 out of 5 by 3. Rated 4 out of 5 by bcha from Fun lighting effects if conditions are right As a few people noticed, this light can be overwhelmed by other bright lights. I tried it on part of my house but the streetlight washed it out so I moved it to a darker area and it works great. As for the person who could not get the bluetooth controls to work, I'm sure they've just mistaken the images in the onscreen tutorial for the actual app controls - they look identical and the tutorial will keep popping up every time you run the app unless you uncheck a checkbox. One caveat: this app needs Bluetooth 4 which on iPhones starts with the 4S. It works well with my Samsung Galaxy S6. Sometimes have to unpair and then pair the bluetooth again to recognize the light but works.